March 31, 1732, Rohrau, Austria, 4:00 PM, LMT. 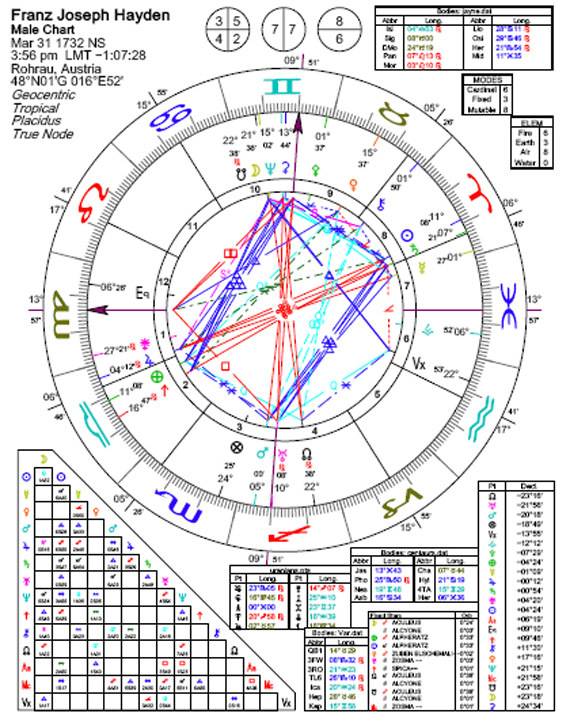 (Source: “baptismal records” in Horoscopes of Composers.) Died, May 31, 1809, Vienna, Austria. Cheer up, children, I am all right. I always started right away with the practical side first in singing and playing instruments, later in composing. I never had a proper teacher. I was cut off from the world. There was no one to confuse or torment me, and I was forced to become original. I was never a quick writer, but composed with great care and efforts. I was no wizard on any instrument, but I knew the potentialities and workings of all. Young people can learn from my example that something can come from nothing. What I have become is the result of my hard efforts. Whenever I think of God I can only conceive of Him as a Being infinitely great and infinitely good. This last quality of the divine nature inspires me with such confidence and joy that I could have written even a miserere in tempo allegro. Austrian composer, a child prodigy and prolific composer. The bulk of his work from 1777-1790 included 125 symphonies and overtures, 76 quartets, 68 trios, 54 sonatas, 31 concertos, 24 operas, 14 masses, 22 arias and more. One of 12 kids, he was raised in poverty. At five he began his musical education; eight years later he composed a Mass. In 1758 he reached a turning point, and he went from being a struggling musician to one who was recognized. Appointed as music director to Count Morzin in 1759, he then became Kapellmeister to Prince Esterhazy, 1761-1790, that continued through three generations of royalty. Haydn's friendship with Mozart, 24 years older, began in 1781; he nonetheless outlived Mozart by 18 years. Their friendship was a deep one, with each one learning from the other. Mozart dedicated six string quartets to Haydn and Haydn's music increased in richness and warmth due to the friendship. During his last years Haydn received honors and acclaim from governments and institutions throughout Europe, leaving him famous and wealthy. He is considered the chief founder of the Viennese classical school. 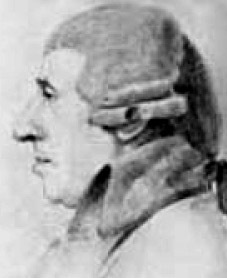 Haydn married Anna Keller in 1760; the marriage was childless and unhappy. He did have an affair with an Italian singer while he was employed by the Esterhazy family and another affair that meant a great deal to him, with Rebecca Schroeter, a musician's widow, that did not begin until he was sixty. He died on 5/31/1809, Vienna, Austria. 1732–1809, Austrian composer, one of the greatest masters of classical music. As a boy he sang in the choir at St. Stephen’s, Vienna, where he received his principal musical training. He struggled in poverty for years, earning a meager living as a teacher and accompanist. Eventually, his compositions came to the attention of some of Vienna’s music-loving aristocrats, and under their patronage his career progressed rapidly. Most of his prodigious musical output was produced during the 29 years of his service as musical director to the princes Esterházy, beginning in 1761. During the 1780s, when he received commissions from London and Paris and honors from all over Europe, he formed a close friendship with Mozart, an association that influenced the music of each. In 1791 and 1794 he made lucrative visits to London, where he held concerts featuring his own music. During this period he wrote the 12 so-called Salomon Symphonies (after the impresario who had arranged his tours), much chamber music, and a large number of songs with English texts. Haydn’s works are notable for their originality, liveliness, optimism, and instrumental brilliance. He established the basic forms of symphonic music and string quartet, which were to be a model and inspiration for the works of Mozart, and of Beethoven, who studied under Haydn. Important in the development of the classic sonata form, his string quartets and symphonies expanded the three-movement sonata form of C. P. E. Bach, adding one or two minuets before the last movement. Two great oratorios, The Creation (1798) and The Seasons (1801), were written in his old age. His works include over 100 symphonies, many known by such names as the Farewell Symphony (1772), the Surprise Symphony (1791), the Military Symphony (1794), and the Clock Symphony (1794); over 80 string quartets; much other chamber music; more than 50 piano sonatas; and numerous operas, masses, and songs. in full FRANZ JOSEPH HAYDN Austrian composer who was one of the most important figures in the development of the Classical style in music during the 18th century. He helped establish the forms for the string quartet and the symphony. 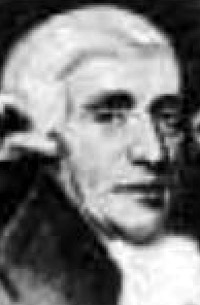 Haydn was the second son of humble parents. His father was a wheelwright, his mother, before her marriage, a cook for the lords of the village. Haydn early revealed unusual musical gifts, and a cousin who was a school principal and choirmaster in the nearby city of Hainburg offered to take him into his home and train him. Haydn, not yet six years old, left home, never to return to the parental cottage except for rare, brief visits. The young Haydn sang in the church choir, learned to play various instruments, and obtained a good basic knowledge of music. But his life changed decisively when he was eight years old. The musical director of St. Stephen's Cathedral in Vienna had observed the boy on a visit to Hainburg and invited him to serve as chorister at the Austrian capital's most important church. Haydn's parents accepted the offer, and thus in 1740 Haydn moved to Vienna. He stayed at the choir school for nine years, acquiring an enormous practical knowledge of music by constant performances but, to his disappointment, receiving little instruction in music theory. He had to work hard to fulfill his obligations as a chorister, and when his voice changed, he was expelled from both the cathedral choir and the choir school. With no money and few possessions, Haydn at 17 was left to his own devices. He found refuge for a while in the garret of a fellow musician and supported himself "miserably" with odd musical jobs. He meanwhile undertook an arduous course of self-instruction through the study of musical works--notably those of Carl Philipp Emanuel Bach--and of leading manuals of musical theory. A fortunate chance brought him to the attention of the Italian composer and singing teacher Nicola Porpora, who accepted him as accompanist for voice lessons and corrected Haydn's compositions. With persistence and energy, Haydn made progress. He was eventually introduced to the music-loving Austrian nobleman Karl Joseph von Fürnberg, in whose home he played chamber music. For the instrumentalists there he wrote his first string quartets. 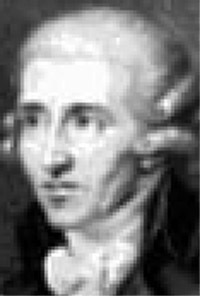 Through the recommendation of Fürnberg, in 1758 Haydn was engaged as musical director and chamber composer for the Bohemian count Ferdinand Maximilian von Morzin. Haydn was put in charge of an orchestra of about 16 musicians, and for this ensemble he wrote his first symphony as well as numerous divertimenti for wind band or for wind instruments and strings. These early musical compositions were still conventional in character, yet a certain freshness of melodic invention and sparkle marked them as the work of a future master. Haydn stayed only briefly with von Morzin, as financial difficulties forced his patron to dismiss the orchestra. Soon Haydn was invited to enter the service of Prince Pál Antal Esterházy. The Esterházys were one of the wealthiest and most influential families of the Austrian empire and boasted a distinguished record of supporting music. Prince Pál Antal had a well-appointed orchestra performing regularly in his castle at Eisenstadt, a small town some 30 miles (48 km) from Vienna. Because his aged music director was ailing, the prince appointed the relatively unknown Haydn to be assistant conductor in 1761. While the music director oversaw church music, Haydn conducted the orchestra and coached the singers in almost daily rehearsals, composed most of the music required, and served as chief of the musical personnel. Haydn carried out his duties extremely well and revealed tact, good nature, and skill in dealing with people. His employment by the Esterházy family proved decisive for his career, and he remained in their service until his death. In 1766 Haydn became musical director at the Esterházy court. He raised the quality and increased the size of the prince's musical ensembles by appointing many choice instrumentalists and singers. His ambitious plans were supported by Prince Miklós, who, on the death of his brother in 1762, had become head of the Esterházy family. He was able to appreciate Haydn's musical contributions and created an atmosphere conducive to the development and maturing of Haydn's art. In addition to composing operas for the court, Haydn composed symphonies, string quartets, and other chamber music. The prince was a passionate performer on the baryton, and Haydn provided for his patron more than 150 compositions featuring this now-obsolete cellolike instrument. Haydn served Prince Miklós for nearly 30 years. He frequently visited Vienna in the prince's retinue, and on these visits a close friendship developed between himself and Wolfgang Amadeus Mozart. The two composers felt inspired by each other's work. Mozart declared that he had learned from Haydn how to write quartets and dedicated a superb set of six such works to his "beloved friend." Haydn's music, too, shows the impact of his young friend. The mature composer was by no means set in his ways; he was flexible and receptive to new ideas. During the 1760s Haydn's fame began to spread throughout Europe. The Austrian and Czech monasteries did much to disseminate his church music as well as his symphonies, divertimenti, sonatas, and concertos. Aristocratic patrons in south Germany, Italy, and the Austrian empire assiduously collected his music, and their libraries would eventually become important sources for copies of his work. 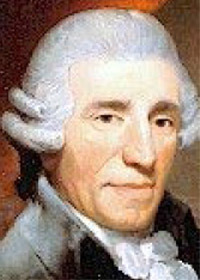 The period from 1768 to about 1774 marks Haydn's maturity as a composer. The music written then, from the Stabat Mater (1767) to the large-scale Missa Sancti Nicolai (1772), would be sufficient to place him among the chief composers of the era. Among his other important works from this period are the string quartets of Opus 20, the Piano Sonata in C Minor, and the symphonies in minor keys, especially the so-called Trauersymphonie in E Minor, No. 44. Haydn's professional success was not matched in his personal life. His marriage to Maria Anna Keller in 1760 produced neither a pleasant, peaceful home nor any children. Haydn's wife was a quarrelsome and bigoted woman who did not understand music and showed no interest in her husband's work. Her disdain went to the extremes of using his manuscripts for pastry pan linings or curl papers. Haydn was not insensitive to the attractions of other women, and for years he carried on a love affair with Luigia Polzelli, a young Italian mezzo-soprano in the prince's service.